We knew the season #7 opener of The Walking Dead was going to be bad. Negan and his barbed wire covered baseball bat “Lucille” had last been seen in the season #6 cliffhanger getting ready to bash in the head of 2 major characters. In that respect the season premiere of The Walking Dead delivered. Gore abounded, Abraham died first, then Glen with his eye popped out yelling,”Maggie?” and Rick being moments away from cutting off Carl’s arm. All at Negan’s behest. By the end of the episode, you realized that your absolute favorite show on television was irrevocably changed. I haven’t been back to see subsequent episodes. Glen Rhee was the last shred of humanity for our Woodbury survivors. He was the guy who still held out hope for a better world with his wife Maggie and their unborn child on the way. 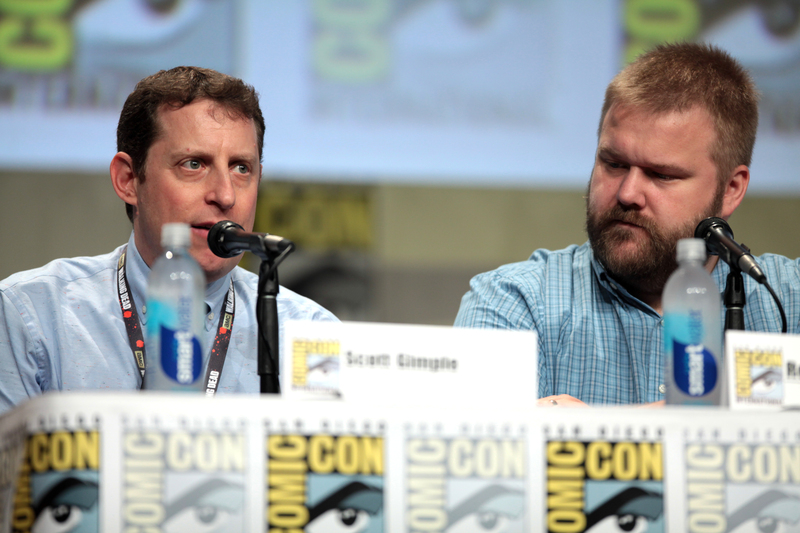 Scott Gimple and Robert Kirkman still have a money-maker with The Walking Dead, but they forgot to take the audiences feelings into consideration. Kirkman’s comic books of the same name are super violent and filled with apathy. By blending the series plots back into the comic book originals the show has lost it’s biggest appeal to viewers. We have no one left to root for. When hope is gone in the Zombie Apocalypse all there is left to watch is Donald Trump. What a feeling! Variety published a recap on the show’s ratings through week 2. To see if the show will continue to decline or bounce back as a ratings favorite is anybody’s guess. “The Walking Dead” is still one of the biggest things on television. But the second episode of Season 7was a little less big than might have been expected, nabbing 12.46 million total viewers and an impressive 6.1 rating in the advertiser-coveted 18-49 demographic. That was about a 27 percent dip from the premiere (17 million, 8.4 demo rating); most other second episodes tend to see drop-offs in the lower double-digits. Of course, the “Walking Dead” demo rating still beats every scripted TV series by a walker-infested mile, no small feat for a show in its seventh season. It’s tough to parse the reason for the bigger dip than usual between the season premiere and the second episode, due to a confluence of possibilities. Game 5 of the World Series, which could have been the end of the Championship road for the Chicago Cubs, drew in a massive audience of 23.6 million and a 6.7 rating in the 18-49 demographic on Fox. NBC’s “Sunday Night Football” game was a tense last-minute win by the Dallas Cowboys over the Philadelphia Eagles, garnering an audience of 18 million, with a 6.5 rating in the demo. It’s possible a portion of the fans who raised a fuss over the premiere’s violence did step away — at least for the week. Or perhaps the dip was the result of all three of those factors. Clarity on whether some “Dead”-heads were jumping ship or just lured away for the evening by sports will come with ratings that include viewing within three and seven days.